Posted on July 5th, 2017 by Lorna Parsons and filed under Architecture, Awards, BPN News, Community. 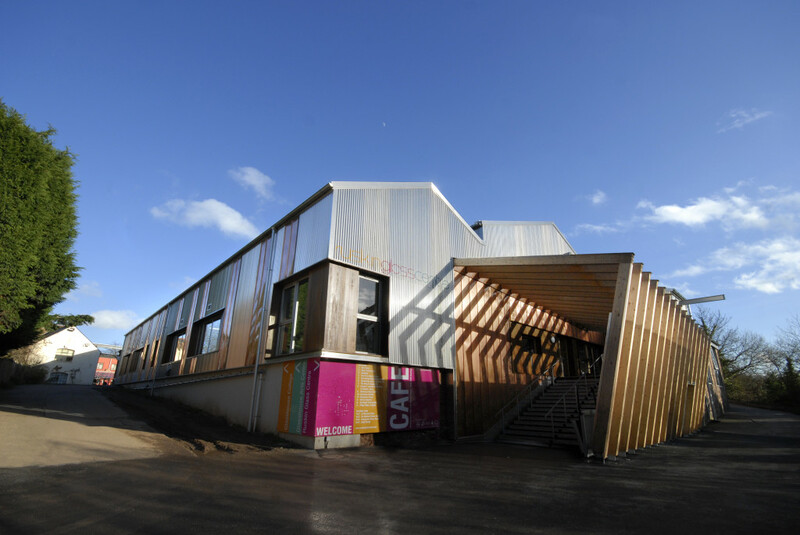 The Glasshouse project transformed a group of semi-derelict industrial buildings, formerly home to Royal Doulton Glass, into the successful Glasshouse College, Arts Centre, Heritage Centre and Ruskin Glass Centre. The site is now operated by the Ruskin Mill Educational Trust and provides a therapeutic educational programme for young people through craft work within the college element, and also through contact with local craftspeople in the 22 businesses and workshops based on site. Jointly funded by Heritage Lottery, Arts Council, AWM and ERDF, the project has been shortlisted for a National Lottery Award and needs your vote! You can read more about the awards and cast your vote here.